There's a buzz in the air as race fans descend upon East Tennessee for a weekend of NASCAR at one of racing's most famed ovals. They are here to witness the thrills and excitement of short track racing while also paying tribute to one of the greatest drivers in NASCAR history. 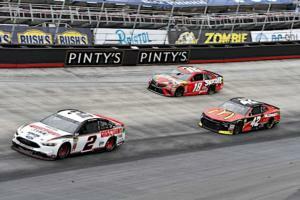 Bristol Motor Speedway is the home of the Food City 500 race weekend (April 5-7), which will see NASCAR's best battle on the high banks for some of the most competitive short track racing action on the planet. The Speedway and its legion of supporters will celebrate one of the short track kings of the sport, Dale Earnhardt, who earned his first career Cup victory at the 1979 Southeastern 500. 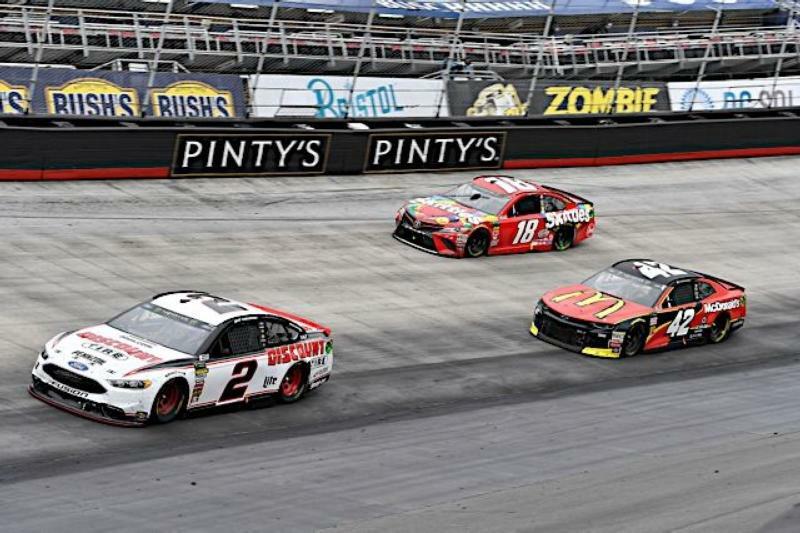 "There's no type of racing that is more competitive and adrenaline-inducing than short track racing," said Jerry Caldwell, executive vice president and general manager of Bristol Motor Speedway. "The Food City 500 weekend could be where the next great short track racer emerges, just as a rookie Dale Earnhardt did in 1979. There will be so much action both on-and-off track for our guests throughout the weekend." To view a schedule of all events and activities during the Food City 500 weekend, check out the BMS Fan Schedule at http://www.bristolmotorspeedway.com/fans/fan-schedule/. Short Track Racing Action: Some of the best drivers in the world hit the high banks at one of the most demanding circuits in the racing world with action in the Monster Energy NASCAR Cup Series (Food City 500 and Bush's Beans Pole Day), NASCAR Xfinity Series (Alsco 300) and the NASCAR K&N Series (Zombie Auto 150). The Old Victory Lane display in the Fan Midway near Hospitality Village will pay homage to Earnhardt's 1979 win. Fans are encouraged to visit the display to see images from the victory as well as a 2019 Chevy Camaro SS wrapped in Earnhardt's vintage No. 2 blue-and-yellow paint scheme. Guests are also invited to sign the checkered board floor with their memories of "The Intimidator"
Bigger, Bolder Pre-Race: BMS officials are inviting NASCAR fans to get closer than ever before with a new and dynamic pre-race show. NASCAR drivers will enter The Last Great Colosseum behind a pumped-up backdrop of brilliant pyrotechnics, billowing smoke and energized music, all on the frontstretch. The new pre-race concept is in response to a tweet by Clint Bowyer challenging the Speedway and SMI CEO Marcus Smith to make Bristol's pre-race even bigger than before. The new amplified pre-race will begin at 1:20 p.m. on the frontstretch and guests are encouraged to join in the festivities with the new Pre-Race Pit Stop pass. Musical Entertainment: Country music superstar Randy Houser will headline the Food City 500 pre-race concert at 12:20 p.m. The Mississippi native has scored several No. 1 songs during his nearly two decade career in Nashville. His hits include "How Country Feels", "Running Outta Moonlight", "Goodnight Kiss", "Like a Cowboy" and "We Went". Race fans can get on-track access to the Randy Houser concert by purchasing a Pre-Race Pit Stop pass. BMS Transporter Parade: The fan-favorite BMS Transporter Parade is moving to the Food City 500 weekend. On Thursday, April 4, the NASCAR haulers will depart the Bass Pro Shops at The Pinnacle around 7 p.m. and make the nine-mile trek to the Speedway, passing State Street and two Food City locations in the process. BMS will open a section of grandstand to allow visitors to watch these mammoth vehicles make their way inside The Last Great Colosseum at 8 p.m.
Food City Family Race Night: One of the longest running and most popular fan festivals in NASCAR returns on Friday, April 5 from 4-9 p.m. in Bristol's Hospitality Village outside Turn 4. The free event includes driver appearances, entertainment, free sampling, show cars and much more. For details, visit https://www.foodcity.com/community/events/99/. Return of the Dash 4 Cash: The Fitzgerald Glider Kits 300 NASCAR XFINITY Series race will once again be the first Dash 4 Cash event for the NASCAR Xfinity Series. Tyler Reddick, Christopher Bell, Chase Briscoe and Michael Annett clinched their spots at Texas Motor Speedway and will compete against each other in the Alsco 300 for the $100,000 prize. Kids/Teens Can Join In The Show: BMS is the perfect place to bring the family as kids can enjoy the whole weekend for only $10! Kids 12-and-under can get in free to Friday's Bush's Beans Pole Day and Saturday's Alsco 300/Zombie Auto 150 doubleheader and can see Sunday's Food City 500 for only $10. All children must have a physical ticket to enter. New for 2019 is Bristol's teen pricing program. Teenagers aged 13-19 are now eligible for half price tickets with the purchase of an adult ticket to BMS' NASCAR events. Tickets for the Food City 500 are still available, starting at just $55. A two-day weekend package is also available, beginning at just $90. Visit BristolTix.com or call 423-BRISTOL. Guests can also purchase single-day Food City 500 tickets for $50 from participating neighborhood Food City stores until Tuesday, April 2.